You came. You saw. You learned. You made new friends. You got business ideas and perhaps found prospective business partnerships. You drank Guinness and Irish whiskey. You managed to Go Wilde at the Expedia party. You stayed up too late and talked yourself hoarse. Then – snap – it was all over. We hope you think of the close of TBEX Dublin as a beginning and not an end. And we hope you fell in love with Ireland through it all. As you bid farewell to Dublin, we hope you’ll share with us what you thought of TBEX and Ireland, what the experience was like for you, and whether we met your expectations. This blog post will be repository of links to stories about TBEX Dublin, from the trips and activities, to the sessions and speakers, and everything in between. You can send your links by email to Mary Jo or Jessica (no need to send it to both of us), and we’ll get it added to this post. You can choose to leave a link in the comments here instead of emailing us (again again, no need to do all three), and we’ll add it to the post and then delete it from the comments section. We’ll be watching for your post, but please be patient as we all take a few days off for ourselves here in Ireland. If you have blog posts about your experiences in Ireland, be sure to share those stories with our hosts here. Thanks for coming to Dublin for TBEX Europe 2013. We hope to see you again next year! 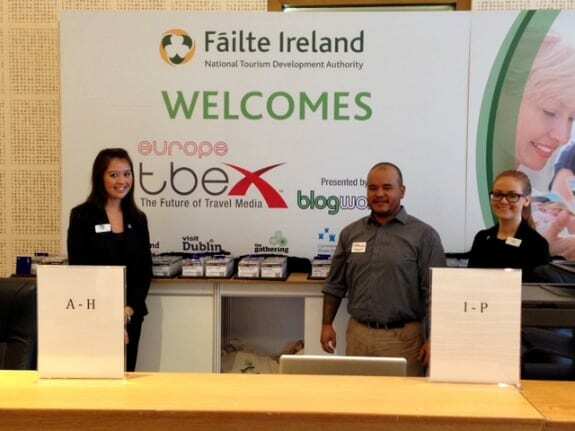 2 days of craziness (also known as TBEX Dublin) – Eille la cheap! Thank you for putting together an amazing, inspiring conference. I can’t wait for TBEX North America! Someone made mention of TBEX Twitter stats, number of tweets and total reach. Can you share those on the blog. Would love to know! I LOVED attending TBEX. Still processing and taking it all in, but here’s my first post on Why You Should Visit Ireland. It’s all about the people! I’m not sure how this qualifies but I wrote about the closing night at The Church, in French (warning: it does not Google Translate well in English, the meaning of it totally changes, haha. And I just see it’s already been included! I think it’s too early in the morning for me 😛 Thanks for including it in the list and can’t wait for the next TBEX! Yeah, it will take us a little time to catch up. I’m still in Ireland and Jessica just got back to the U.S. We’ll include them all, though, so don’t worry. Thanks Christa. TBEX is a team effort, and I’m very grateful to work with some of the best in the industry. I’m glad you enjoyed yourself and hope to see you next year at one of our events.